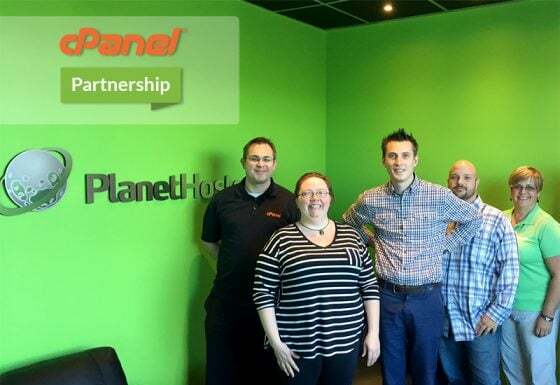 Last week we had the privilege and honor to welcome the cPanel team to PlanetHoster. Indeed, for the second consecutive year, the industry leading cPanel has located from the US exclusively to meet our technical PlanetHoster team at our offices in Quebec. In a friendly and relaxed atmosphere, the cPanel team and PlanetHoster exchanged views on a range of issues including security, the features of cPanel / WHM and on future developments. During this great opportunity, PlanetHoster benefited from several exclusive information and above all valuable advice. For their part, cPanel also took advantage of our technical recommendations and improvements in features of cPanel and WHM. It should be noted that to date, many of our recommendations were considered in the latest updates of cPanel. PlanetHoster invests huge sums each year in R & D and continuing education of its employees. The goal is to always be forward thinking and at the forefront of technology in this great universe of web hosting. In the same order of idea, it is to be known that our FREE PH SSL Module (let’s encrypt) was put online more than a year before the formal launch of the cPanel module Let’s Encrypt and that, in order to provide our customers SSL certificates to meet the HTTPS Web standards without additional costs. Thank you for the amazing cPanel visit! See you again next year.